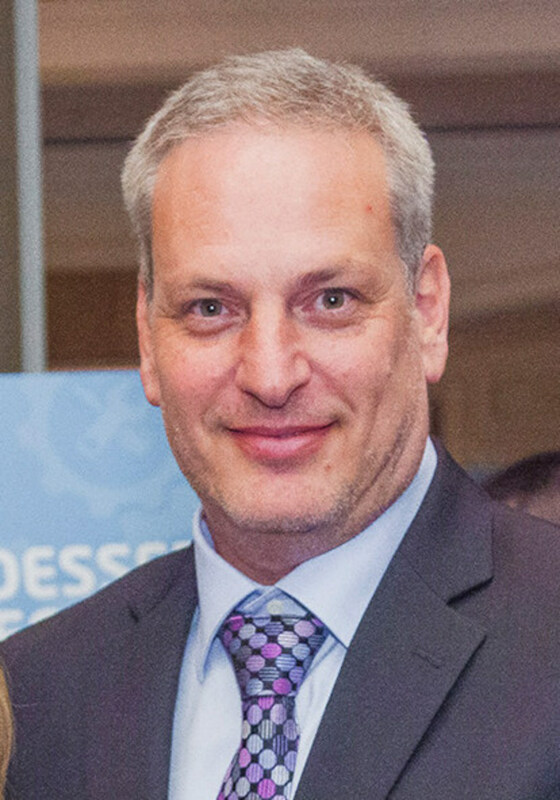 Over a decade ago and before the explosion of mobile devices, Hilton Goldstein, an air flight enthusiast, combined his passion of flying with his systems architecture talents to build a software company focused on innovation and safety. He developed an app that quickly grew in sales and revenue, and Hilton Software was born. Today, Hilton Software is responsible for a $17.5 million government contract enabling military pilots worldwide to fly paperless, saving money, fuel, time, and most importantly, safer missions. This has lead Hilton Software to win the Gold Stevie Award in The 2017 American Business Awards for Executive of the Year in Aerospace and Defense. Dr. Goldstein’s humanitarian efforts when he flew as an Angel Pilot was the inspiration for his first app. Although only motivated for his eagerness to serve the people he flew, his path lead him to unexpected destinations. Today, Dr. Goldstein supports a number of worthwhile organizations, including Semper Fi Fund, Make a Wish America, and Children’s Charities. Everything new is interesting and stimulating to Hilton Software. This dedication to continual innovation and commercialization has led to many patented and patent-pending technologies being introduced into their commercial products. Team Hilton Software as a whole has shown a variety of interests. Seven of its members are currently advancing their higher education in different fields, while many are actively studying to pass the pilot ground test. The company’s Project Executive is currently training as a pilot and soon will be able to perform her first solo flight in her own Piper aircraft. Because everyone is highly motivated and very active, they all contribute to the company’s pervading and bustling winner’s culture. Finalists were announced today in the 11th Annual Stevie® Awards for Women in Business, the world’s top honors for women entrepreneurs, executives, employees, and the organizations they run. This year’s Gold, Silver and Bronze Stevie Award winners will be announced at an awards dinner at the Marriott Marquis Hotel in New York City on Friday, November 14. More than 300 women and their guests from around the world are expected to attend the presentations, which will be broadcast live by Biz Talk Radio and taped for a later television broadcast. More than 1,200 entries were submitted this year by organizations and individuals around the world for consideration in more than 90 categories including Executive of the Year, Entrepreneur of the Year, Women Helping Women, and Communications Campaign of the Year. Among the leading contenders with multiple Finalists are Accenture, Chicago, IL; AT&T, Dallas, TX; Australian Innovative Systems, Brisbane, Australia; Craig Safety Technologies, Kansas City, MO; Creative Lodging Solutions, Lexington, KY; Dubai Police General Headquarters, United Arab Emirates; Ellison Educational Equipment, Lake Forest, CA; Gabriel Marketing Group, Reston, VA; Hewlett-Packard Company, Sunnyvale, CA; Home Rental Services, Overland Park, KS; iFinance Canada Inc., Toronto; Jeunesse Global, Orlando, FL; KC Projects, Birmingham, AL; LLORENTE Y CUENCA, Madrid, Spain; Marketing Maven, Camarillo, CA; MWW, East Rutherford, NJ; National Merchants Association, Temecula, CA; NEI Global Relocation, Omaha, NE; Nerium International, Addison, TX; Newberry Executive Solutions, LLC, Dallas, TX; Pink Elephant, Burlington, ON Canada; PPC Ltd, Johannesburg, South Africa; RezBiz, LLC, Estero, FL; Smartling, New York, NY; Wisdom Natural Brands, Gilbert, AZ; and Xceed Financial Credit Union, El Segundo, CA. Finalists were chosen by more than 100 business professionals worldwide during preliminary judging. Members of five specialized judging committees will determine the Gold, Silver and Bronze Stevie Award placements from among the Finalists during final judging that begins on October 20. Stevie Awards are conferred in six programs: The American Business Awards, The International Business Awards, the Stevie Awards for Women in Business, the Stevie Awards for Sales & Customer Service, the Asia-Pacific Stevie Awards, and a new program, the German Stevie Awards. Honoring organizations of all types and sizes and the people behind them, the Stevies recognize outstanding performances in the workplace worldwide. Learn more about the Stevie Awards at http://www.StevieAwards.com. 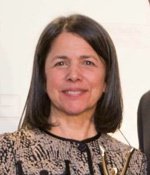 Melissa Sones Consulting in New York, New York, won a Grand Stevie Award in the 2013 Stevie Awards for Women in Business, the world's premier business awards program for women. 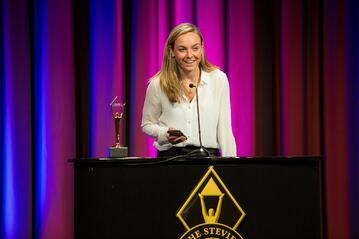 The 2014 Stevie Awards for Women in Business is now accepting entries, with a July 23 early-bird deadline. Review the entry kit here. This past November, Grand Stevie Award trophies were presented for the first time in the Stevie Awards for Women in Business to the five organizations that submitted the best body of entries to the competition. Also a first, the name at the top of that list was not for an individual or company that had been a winner: it went to Melissa Sones Consulting, which had successfully entered several of its clients in the competition. We asked Melissa for some insight on this success. What, for example, did she tell her clients were the most important reasons for entering a professional awards competition such as the Stevie Awards for Women in Business? “First, I tell clients or potential clients that awards marketing is the number one form of marketing in the world,” explained Melissa. “Just look around you: car companies run TV commercials noting that they are number one on J.D. Power and Associates; others on TV say they are topping Angie’s List. There are many examples. “Second, I tell them I have had personal experience with the power of awards. I won a major award years ago and it changed my life and brought opportunities my way that might not otherwise have come. In my experience winning awards has worked, so I encourage my clients to win awards themselves so that they can do the same for their businesses, ultimately attracting lots more business. “Reason number three is the awards ceremony itself. While I focus on the applications and the actual winning—so far, 99% of those we have entered for major business awards have won something—getting up in front of a large audience comprising a wide range of business owners is a thrill. That’s why I took a table at the 2013 Stevie Awards for Women In Business Awards and encouraged my clients to come. Four of them won Gold Stevies, and it was very exciting! “A fourth reason is that I want my clients to have a marketing tool that they can use over and over again. Win once and you can put it out there forever. I love that, and it’s effective. We asked Melissa what winning a Grand Award at the 2013 Stevie Awards for Women in Business had meant to her. Additionally, Melissa told us that her awards consulting company does more work with the Stevie Awards than with any other awards competitions. As she puts it: “Everything about it makes sense for the many businesses I work with. The applications themselves allow for creativity without being too time-consuming; the team at the Stevies is available whenever I need help, such as when filing an application or following up on a trophy order; and the awards have names or titles that I happen to like from a marketing standpoint. Winning a Women in Business Award or an American Business Award or an International Business Award appeals to my clients, most of whom have come back for more awards, with the Stevie Awards for Women In Business at the top of the list so far! Melissa is certainly providing a service to others, as her achievements testify. Melissa Sones is a seasoned, results-focused communications and media relations consultant and writer in the lifestyle arena. Her clients include companies in fashion, beauty, food and restaurants, consumer products, public relations, health, international investment banking, retail, and family publishing. Known for her corporate seminars on "The Art of Pitching" as it relates to lifestyle, Melissa is a former columnist for Food & Wine; the former beauty editor at Self magazine; fashion features editor (and member of the founding team) of Mirabella; fashion critic for the New York Post; and fashion editor for United Press International. She has been a regular contributor to Glamour and her pieces have appeared in The New York Times, Harper’s Bazaar, and Redbook, among others. She was also a contributor to the Zagat Guide on Shopping. She is the author of Getting into Fashion, A Career Guide (Ballantine) and Full Frontal Fashion: Never Worry Again About What To Wear (Plume/Penguin Group), which was featured in People Stylewatch, on The View, and in other national publications. She has been quoted on lifestyle in O, The Oprah Magazine and Real Simple. Her company specializes in creative thinking and knowing what's coming down the pike before others do. The New York Times featured the company’s creative approach in a 2009 article. In 2013, Melissa Sones chose to make awards and awards marketing the main focus of her company. Melissa Sones Consulting (MSC) is an awards consulting company that helps individuals and businesses win the top national and international awards—with a special emphasis on business awards. 99% of the companies MSC has entered for a top business award have won something. If you want to win, you want to work with MSC. For more information, go to www.melissasonesconsulting.com. Learn all about the Stevie Awards for Women in Business, the world's top honors for women entrepreneurs, executives, and organizations they run at www.StevieAwards.com/Women. Janine Popick is CEO & Founder of VerticalResponse in San Francisco, California, USA, and the winner of a Gold Stevie Award for Female Executive of the Year-Business Services (up to 2,500 Employees) in the 2013 Stevie Awards for Women in Business. The 2014 Stevie Awards for Women in Business competition is now open. The early-bird entry deadline is July 23. GET THE ENTRY KIT HERE. “How do I build or get an email marketing list?” As the leader of an email marketing software company for the last 13 years that’s been the most common question I’ve heard whenever I’ve talked to small businesses. I’m also often asked if it’s okay to use a purchased, rented, or scraped email list. My answer? Nope. Nada. Not so much. There are no shortcuts to growing an engaged and loyal base of subscribers, fans, and followers. In reality, rather than get you the results you want, that purchased list could tarnish your relationship with your recipients—not a great way to start out. So, how do you grow a list with engaged subscribers who want to hear from your business? I have five sure-fire ways, so read on! In exchange for giving you their email address, subscribers expect to get something of value. Whether it’s a discount, exclusive deal, advance access, tips, how-tos, advice, or something else, make sure the value is stated on your email sign-up form. At VerticalResponse, we archive our weekly VR Buzz e-newsletter so folks can preview what they’ll see before they hand over their email addresses. Also, once they’re a subscriber, if they happen to miss a newsletter, they always have easy access to it. Sending emails to your subscribers is all based on getting their permission first. Here’s where your “join my list” form—also called an opt-in form—comes into play. An opt-in form is priceless because, when people willingly give you their email addresses, they’re saying they want to hear from you. And by getting opt-in permission, you build a relationship and gain trust. It’s a win-win for both parties. Tip: Make sure you keep your forms short, and easy. Also, give folks the opportunity to sign up whenever they contact or interact with your business, including from multiple pages on your website (homepage, contact page, pricing page, etc. ), your blog, your Facebook profile, transactional emails such as receipts and invoices, and at events or tradeshows. The ability to forward an email to a friend seems to have been around since the dawn of email marketing (trust me, I was there), but it’s amazing how many people still don’t include the forwarding ability in their emails. This is a missed opportunity, especially now that people are totally accustomed to sharing any messages that they think friends or co-workers might get value from or enjoy. Encourage the forward by saying something like: “Share this email with friends you think might enjoy it!” All email service providers should allow you to insert a forward to a friend link very easily when you create your email. The bonus is that an email service will usually include an option to sign up for a mailing list in these forwarded emails, and that will add to list growth! Make sure that every email you send can be shared by your current subscribers on their social media networks. Most email service providers let you include social media buttons in your emails that allow recipients to share your message on Facebook and Twitter. Reporting and tracking will allow you to see how many people are sharing your messages. There you have it: Five sure-fire (and easy) ways to grow your email list. Have any to add to my list? Share them in the comments! Janine Popick is the CEO and founder of VerticalResponse, a provider of online marketing tools for small businesses that include email marketing and social media marketing. 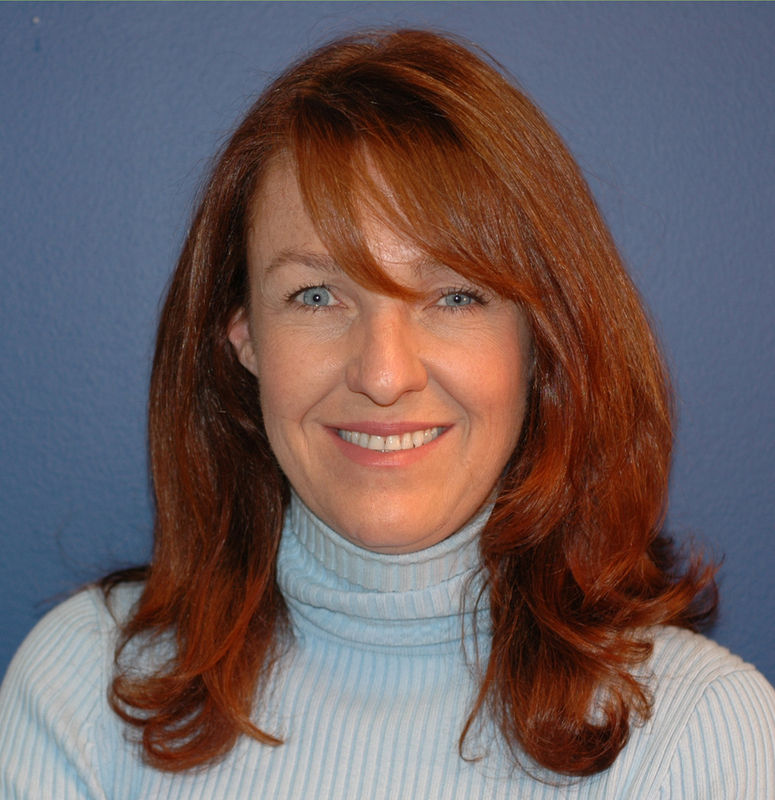 Janine brings over 20 years of experience leading direct and Internet marketing programs for some of the biggest brands in technology and entertainment. VerticalResponse Inc., a subsidiary of Deluxe Corporation, provides a full suite of online marketing tools to help small businesses connect with their customers on email, social media, mobile, and more. More than 1 million users worldwide have relied on the VerticalResponse platform to easily create, manage, and analyze their own marketing campaigns, all from a single account. For more information visit www.verticalresponse.com, or connect on Twitter and Facebook.